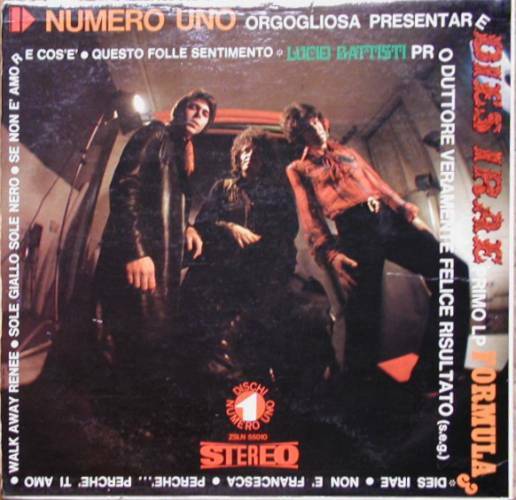 One of the most popular bands in Italy at the beginning of the 70's, not only among rock fans because of their long collaboration with singer Lucio Battisti who took them to the newly formed Numero Uno label producing their first album. 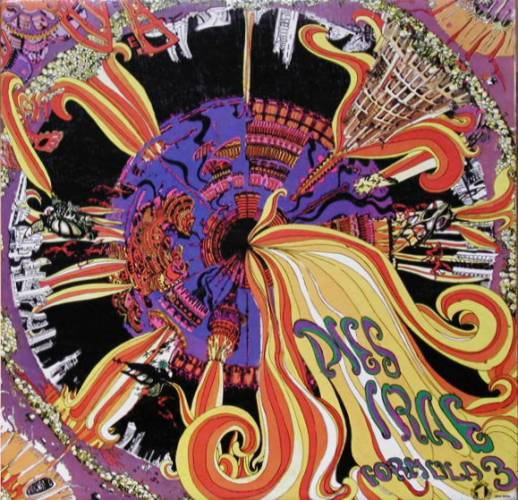 Dies irae, housed in a nice psych-inspired sleeve, introduced the typical Formula 3 sound, based on the guitar/organ interplay (the band used no bass, the bass parts being played by keyboard player Lorenzi), with the nice lead voice of drummer Cicco. Their sound was a blend of pop, prog and hard rock influences, that brought them to be the most important rock band before the Banco/PFM years. 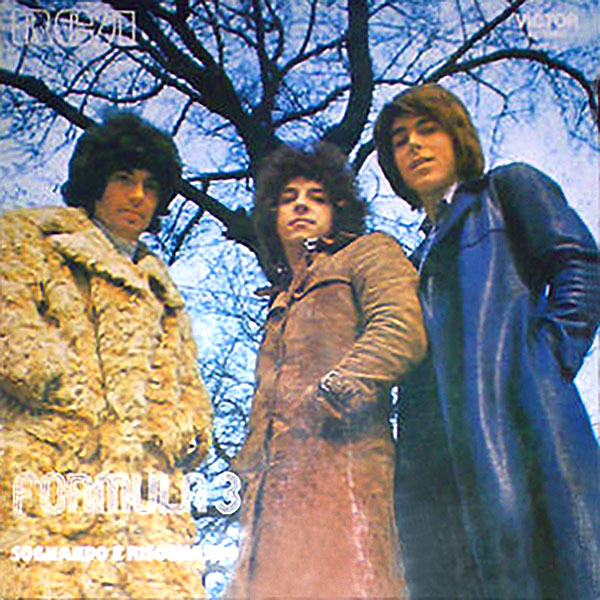 On the album are noteworthy the nice title track with a dark atmosphere (Dies Irae had originally been released on single in 1967 by Samurai, a group that included keyboardist Gabriele Lorenzi along with Area's Paolo Tofani), a cover of the Left Banke's Walk away Renee and one of their most important tracks and an Italian rock classic, Questo folle sentimento. 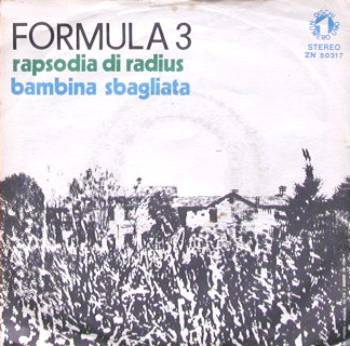 Second album, simply entitled Formula 3, was entirely based on songs by Lucio Battisti with lyrics from his co-writer Mogol and contained two more classics, Eppur mi son scordato di te and the long Nessuno nessuno, also released as a single in shortened form. 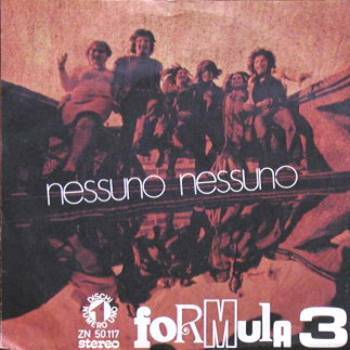 The rest of the album was on a minor level and the group was too tied to the Battisti-Mogol production, but they were very successful and there is no one in Italy that still nowadays doesn't know some of their songs. In the third album, Sognando e risognando from 1972, the band included some original compositions, along with the usual Mogol-Battisti tracks, and the result is probably their best work ever. The most interesting track here was a 10:30 minutes long version of the title track (a song already recorded by Lucio Battisti), but even the Aeternum suite is noteworthy. 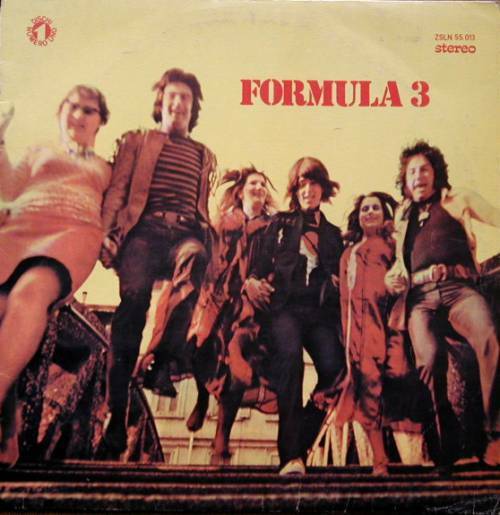 In the same year Formula Tre took part in the "VII Festival Internacional da Canção 1972" in Rio de Janeiro and the song Aeternum gave them the Popular Jury Award. 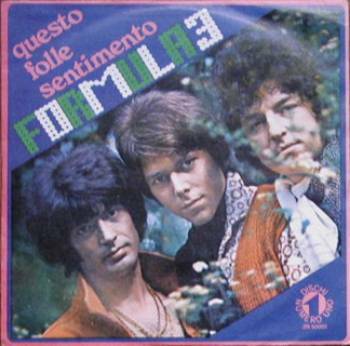 Fourth and last album, La grande casa, saw the group's split from Lucio Battisti's production and compositions, the album being produced by lyric writer Mogol with original music by Alberto Radius. This is usually considered their lesser album, with large use of acoustic guitar and very different from the previous one. 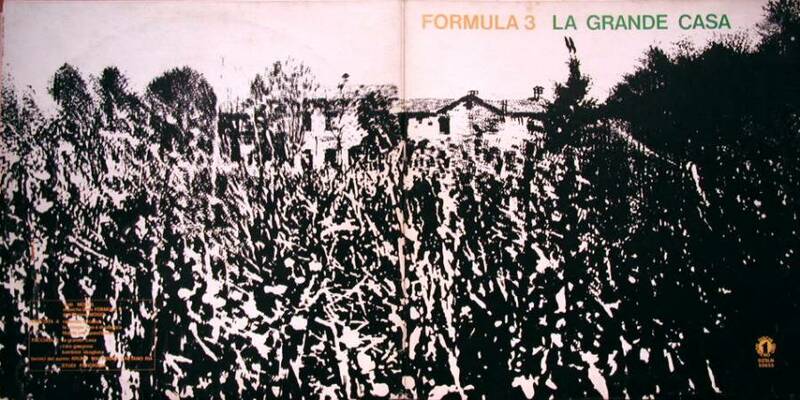 The band kept playing as Lucio Battisti's backing band but Formula 3 officially ceased to exist since late 1973. Gabriele Lorenzi and Alberto Radius joined the short-lived supergroup Il Volo while Tony Cicco started a solo career with the name of Cico. 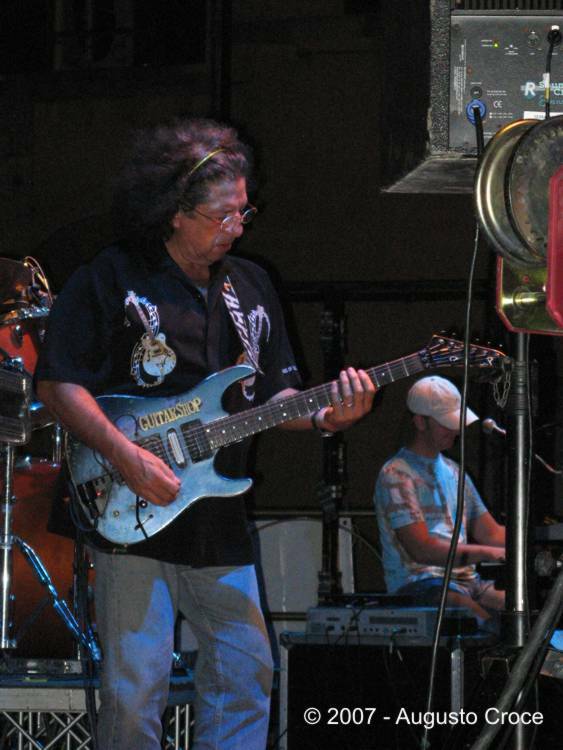 Radius, already an appreciated sessionman since the 60's, also released many solo albums starting with the now rare Radius in 1972, and up to the early 80's. 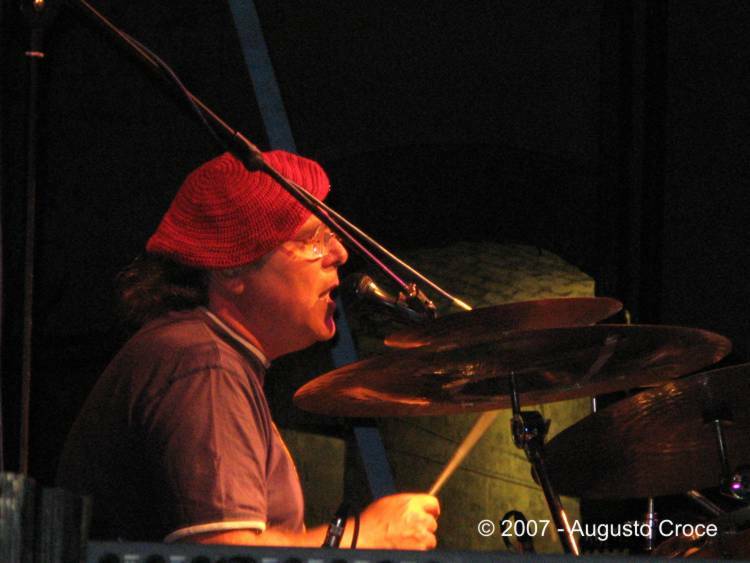 The band reformed in 1990 with the same line-up and releasing three new albums among which King Kong, that also included reworkings of the old songs. 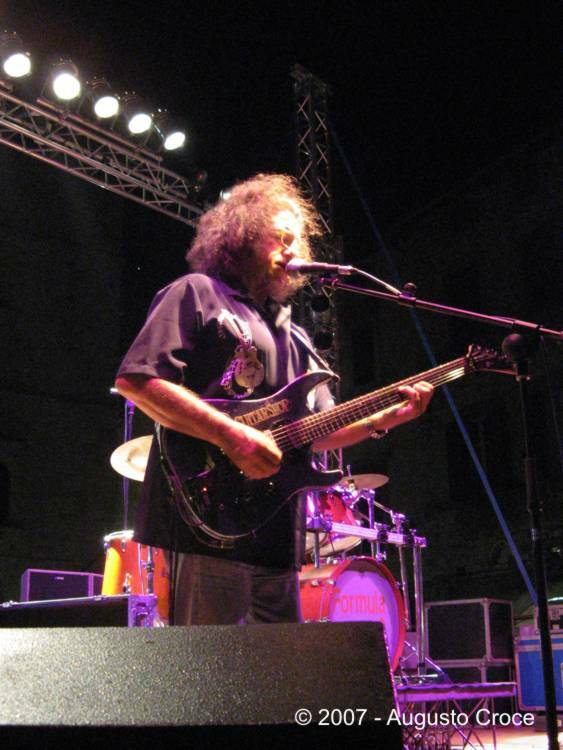 A new album has been released in 2002, La folle corsa, containing once again re-recordings of the band's old hits with new keyboardist Maurizio Metalli replacing Lorenzi. Metalli was then replaced by Ciro Di Bitonto in 2006. Radius and Cicco stayed together for a few more years then they parted ways, each with his own group playing Formula Tre's old classics. 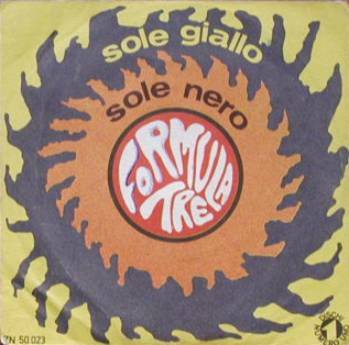 The Formula 3 releases are all rather common due to the great popularity of the band, the only exception being the original issue of Dies Irae, that was also the first release of the Numero Uno label and housed in a heavy laminated single cover with a nice psych design. Sognando e risognando originally had a gatefold cover with the LP inserted from the top side, reissue has a standard side opening. All the albums have been reissued in early 90's but are easily recognised by the different numbering. Sognando e risognando has been issued in Japan (King K22P111), Korea (Si-Wan SRML 1004) and Brazil (RCA 104.7015-B, with different cover design), La grande casa has been issued in Japan (King K22P153), Korea (Si-Wan SRML 1007) and in Brazil on CD only. 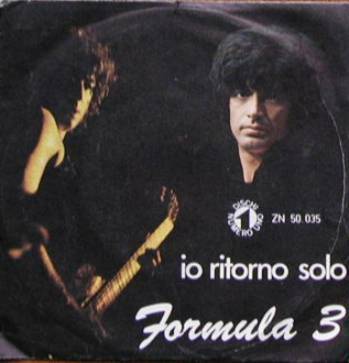 A German issue exists of Sognando e risognando (Numero Uno UNL-403 - year 1973), with single laminated cover, and other european and south American issues have probably been released for the band's albums. 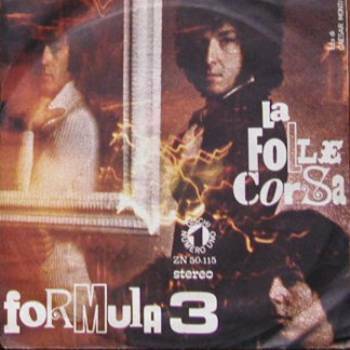 It's worth to mention a French single from 1972, with Storia di un uomo e una donna and Eppur mi sono scordato di te, issued on Vogue (45 NUV 4088) with the same cover picture that had been used in Italy for the La folle corsa single. 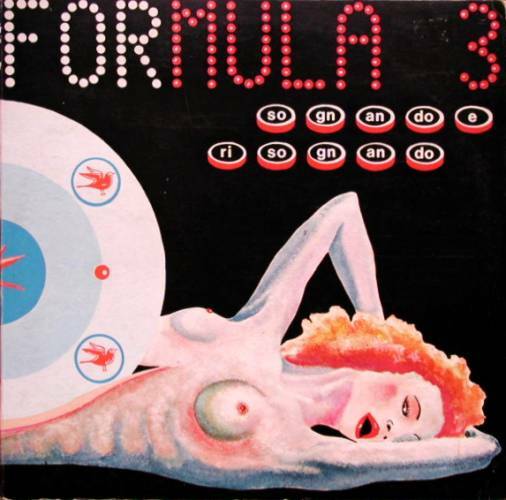 All the Formula Tre albums were released in Brazil, particularly interesting is Sognando e risognando (RCA Victor 104.7015) that had a different laminated single cover with band's colour photos on both sides. The track Aeternum, that gave the group an award at the “Festival Internacional da Canção”, was also issued as a promo single (RCA Victor 991.7103). In Argentina the first album Dies irae was released under the Spanish title Este loco sentimiento (RCA Victor AVL 3990), with the LP sides in reverse order and a totally different cover. 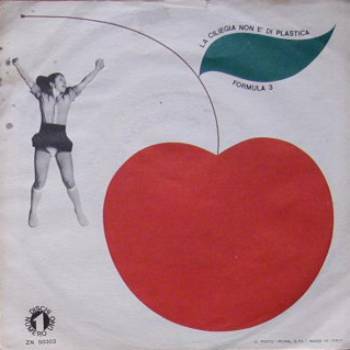 The song Este loco sentimiento (Questo folle sentimento) was issued along with No es Francisca (Non è Francesca) on an RCA single (31A-1746 - Xahl 2841) and on a compilation from 1970, Solano Beat a todo calor (RCA Vik LZP 1178). All the songs with Spanish titles are sung in Italian. Also a Venezuelan issue of La grande casa exists in single sleeve with a Spanish lyric insert (RCA). Thanks to Humberto Luna from www.progresiva70s.com for information on argentine compilation.